Ready to rev up your training? Our Accelerate Singlet won't slow you down. We designed it with performance perks like moisture-wicking fabric, reflective trim and a lightweight fit to help you along the way. 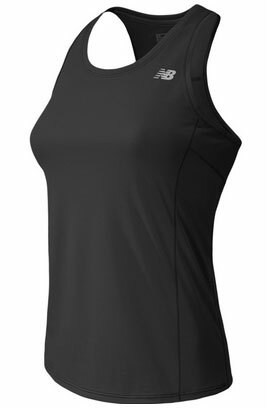 NB DRY technology, a lightweight feel and a great fit make our women’s New Balance Accelerate Tank your go-to top for training. We finished the speedy silhouette with reflective accents for a stylish spin on safety.